Imagine a home that could pivot up to 90 degrees to create more space and suit the occupants’ mood or the weather. 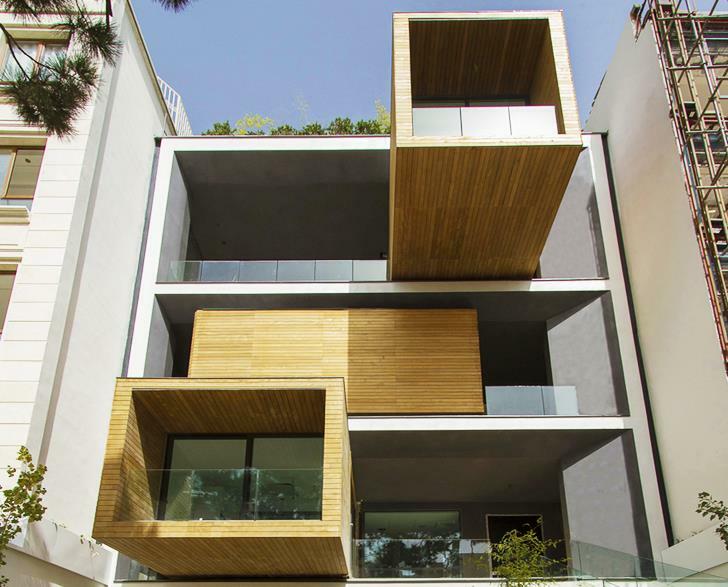 An Iranian architectural firm has built a four-storey home with motorised rooms that can rotate with the push of a button (see below). Like most of the plots in the area, the one where the Sharifi-ha House stands is narrow and long, which allowed for the treatment of the façade as a three-dimensional element. The concept for the Sharifi-ha House was inspired by old Iranian mansions that were traditionally built with both summer and winter living rooms.